It would be another nine years before Lloyd-Jones put pen to paper and made his thoughts known about the “altar call” in chapter fourteen of his book Preaching and Preachers (1971). Retired from pastoral ministry by then, Lloyd-Jones was still busy training men for the preaching ministry. By 1971, the “altar call” was a dominant means for evangelism. Lloyd-Jones revealed that he had been “chided” even “reprimanded” “because I have not made an appeal for immediate decisions. Some of them would go so far as to say that I had been guilty of sin, that an opportunity had been created by my own preaching but that I had not taken advantage of it” (269). In addition, he told of a number of ministers who had been told that when they did not give an appeal, they had not preached the gospel. 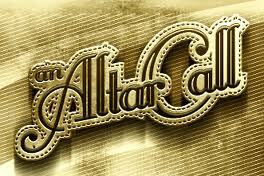 Some ministers were called to churches or not called on the basis of their practice of giving the altar call. Lloyd-Jones knew church history almost as well as he knew the Bible. He gave serious thought to the whole consideration of altar calls. In the chapter “Calling for Decisions” he tackles the subjects of the manipulative use of music, lights and appeals for sinners to make a decision. He gave ten reasons for his avoidance of doing anything that would “condition the meeting and the people for the reception of our message” other than the proclamation itself. (265) His first and last appeal was to “an Arminian like John Wesley and others did not use this method” (271, 76). Without much explanation, here are Lloyd-Jones’ ten reasons for avoiding the altar call. 2. The danger of mistaking the source of the response. Too much pressure on the will may determine a response that is based on the personality of the evangelist or some “vague general fear, or some other kind of psychological influence” (272). 3. The preaching of the Word and the call for decision should not be separated in our thinking. The emphasis on an appeal at the end of sermon is regarded as something in and of itself. Lloyd-Jones clarifies this reason at the end of the chapter when he writes, “the appeal must be in the Truth itself, and in the message. As you preach your sermon you should be applying it all the time . . . But the appeal is a part of the message; it should be so inevitably. The sermon should lead men to see that this is the only thing to do. The appeal should be implicit throughout the whole body of the sermon, and in all that you are doing” (282). 4. The method of the altar call carries with it an implication that sinners have the inherent power of decision and of self-conversion. Here Lloyd-Jones cites 1 Cor 2:14 and Eph 2:1. 5. Another danger: the evangelist is somehow in the position to manipulate the Holy Spirit and His work. “The evangelist has but to appear and to make his appeal and the results follow inevitably.” (Of course, that is exactly the thinking of Finney) (275). 6. The altar call tends to produce a superficial conviction of sin, “if any at all.” Lloyd-Jones gives an illustration from his own ministry in Wales. It’s humorous, sad and to the point. Well worth the read! Besides in our church cultures today, there is enough “lightness” about God’s holiness and human sin; we hardly need to add to it. 7. Another danger: the sinner may conclude that “going forward” saved them. 8. Another danger: “is not this practice based ultimately on a distrust of the Holy Spirit and His power and His work?” (277). 9. What do we think about the work of regeneration? “This to me is the most serious thing of all.” If salvation is a work of the Spirit then it is “His work alone, no one else can do it. The true work of conviction of sin, and regeneration, and the giving of the gift of faith and new life is solely the work of the Holy Spirit. And as it is His work it is always a thorough work; and it is always a work that will show itself.” That last statement is (in my mind) very important, too. We want to see the results of our labor. I do! But is it really that important that I know? If the work of conviction and regeneration is really going on, it will always show up in the lives of those who are saved. As the Doctor said, “It matters (that I know) from the standpoint of encouragement in the work, but it does not matter from the stand point of the work itself” (278). 10. A point of doctrine: “can a sinner really decide for Christ”? Lloyd-Jones aligned theologically and practically with the Puritans. On this point he wrote, “A sinner does not ‘decide’ for Christ; the sinner ‘flies’ to Christ in utter helplessness and despair saying – ‘Foul, I to the fountain fly, Wash me, Saviour, or I die’” (279). The convicted sinner “no more ‘decides’ for Christ than the poor drowning man ‘decides to take hold of that trope that is thrown to him and suddenly provides him with the only means of escape” (280). Lloyd-Jones questions the percentage of “decisions” that last. It was not high in his day; I suspect it’s not any higher today. Regardless, what can we say about the “altar call” responders who do come into our churches? In Lloyd-Jones’ day he observed a serious decline in true spiritual vitality. Same today. Compare this with what happens when real God-sovereign revivals or awakenings come to the church – Life! Evangelism! Growth! Urgent prayer! Ministries! Mission! Wouldn’t that be a lovely and blessed way to spend a Sunday afternoon or a Monday morning as Spurgeon did? Praying with you for your pastor’s preaching to be used of the Spirit to draw sinners to Christ. Iain Murray, Evangelicalism Divided: A Record of Crucial Change in the Years 1950 to 2000 (Edinburgh: Banner of Truth Trust, 2000), 76. D. Martyn Lloyd-Jones, Preachers and Preaching (Grand Rapids: Zondervan, 1971). There are two other unfortunate expressions in our day: “You must make Christ Lord of your life.” When was Christ ever not Lord? When was he divided? Or a similar idea: “You must let Christ sit on the throne of your life.” How did I gain so much power that I could thwart the King of all kings to submit to my authority? Thank you for writing on these issues! They have blessed us and helped us grow!